After winning Search For A Star back in 1980 Lisa Stansfield has become a household name, chart-topping songstress and multi-award winning artist, and let's not forget her glittering acting career, now the star presents her seventh album, Deeper. Releasing her debut solo album, Affection, in 1989 Stanfield broke through into worldwide recognition. With it's chart topping single 'All Around The World' Affection garnered the singer/songwriter with her two Grammy Award nominations, and is still the artists best-selling album. 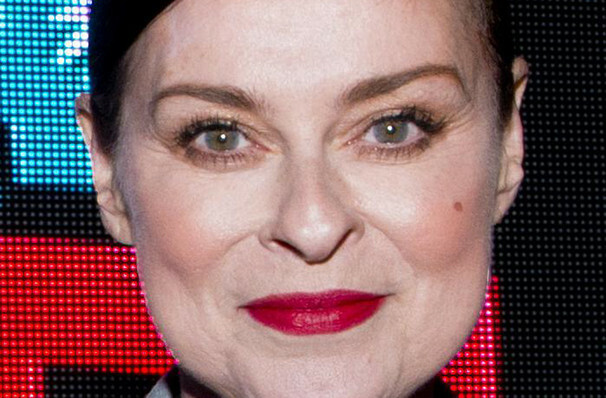 With a further six albums under her belt Lisa Stansfield has gone onto win countless awards including, three BRIT awards, two Ivor Novello Awards, and a Billboard Music Video Award. With over twenty million albums sold worldwide Stansfield shows no sign of slowing down! Alongside her music Stansfield has also enjoyed a varied and successful acting career appearing as Joan Woodcock in the Nick Mead directed 'Swing' (1999) as well as the 2008 Edge of Love which also starred Kiera Knightley. Sound good to you? Share this page on social media and let your friends know about Lisa Stansfield at Keswick Theater. Please note: The term Keswick Theater and/or Lisa Stansfield as well as all associated graphics, logos, and/or other trademarks, tradenames or copyrights are the property of the Keswick Theater and/or Lisa Stansfield and are used herein for factual descriptive purposes only. We are in no way associated with or authorized by the Keswick Theater and/or Lisa Stansfield and neither that entity nor any of its affiliates have licensed or endorsed us to sell tickets, goods and or services in conjunction with their events.